System for converting Arabic numerals to their textual equivalence is an important tool in Natural Language processing (NLP) especially in high-level speech processing and machine translation. Such system is scarcely available for most African languages including the Igbo language. This translation system is essential as Igbo language is one of the three major Nigerian languages feared to be among the endangered African languages. The system was designed using sequence as well as activity diagram and implemented using the python programming language and PyQt. The qualitative evaluation was done by administering questionnaires to selected native Igbo speakers and experts to provide preferred representation of some random numbers. The responses were compared with the output of the system. The result of the qualitative evaluation showed that the system was able to generate correct and accurate representations for Arabic numbers between 1-1000 in Igbo language being the scope of this study. The resulting system can serve as an effective teaching and learning tool of the Igbo language. Ablanedo, J., Aiken, M. and Vanjani, M. (2007) ‘Efficacy of English to Spanish automatic translation’, Int. J. Information and Operations Management Education, Vol. 2, No. 2, pp.194–210. Akinadé, O.O. (2014). 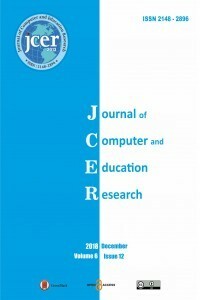 ‘Formal Analysis and Computational Implementation of a Number to Yoruba Text Translation System’. Unpublished M.Sc. Thesis, Department of Computer Science and Engineering, Obafemi Awolowo University, Ile-Ife. Craciunescu, O., Gerding-Salas, C., & STRINGERO'KEEFFE, S. (2004). Machine Translation and Computer-Assisted Translation. Machine Translation and Computer-Assisted Translation. Ekundayo , S. A. (1977). Vigesimal Numeral Derivational Morphology: Yoruba Grammatical Competence Epitomized. Anthropological Linguistics, 19(9):436 - 453. Everett, D. (2005). Cultural constraints on grammar and cognition in Pirahã.Current anthropology, 46(4), 621-646. Eves, H.W.(1969). An Introduction to the History of Mathematics. Holt, Rinehart and Winston, Newyork,3rd edition. Hammarstron, H. (2009). Rarities in Numeral Systems. In Wohlgemuth, J. and Cysouw, M, Editors, Rara& Rarissima: collecting and interpreting unusual characteristics of human Languages; Empirical Approaches to languages Typology, pp.7-55. Mouton de Gruyter. Hutchins, J. (2005). Current commercial machine translation systems and computer-based translation tools: system types and their uses. International Journal of Translation, 17(1-2), 5-38. Knight, K. (1997). Automating knowledge acquisition for machine translation. AI Magazine, 18(4), 81. Knight, K., and Graehl, J. (1998). Machine transliteration. Computational Linguistics, 24(4), 599-612. Mbah, E. E., Ahamefula, N. O., & Ayegba, M. (2014). “A Comparative Analysis of the Numerals and Counting Systems of Igbo and Igala”. Research on Humanities and Social Sciences Vol.4, No.26. Ogomaka, P.M.C, (2005). ‘Traditional Igbo Numbering System: A Reconstruction’.Published Thesis, Department of Evaluation and Research Methods, University of Nigeria, Nsukka. Sanusi, I. O. (1995). “Counting in Base Five: The Derivation of Numerals in Bàtònū”. In Nigerian Language Studies. No 3, Pp, 13 – 19. Wilder, R.L., 1973, Transworld Student Library: Evolution of Mathematics Concepts, London: Transworld Publishers. Yusuf, O. (Ed.). (2007). Basic linguistics for Nigerian languages teachers. Linguistic Association of Nigeria. Zaslavsky, C. (1973). Africa Counts. Prindle, Weber & Schmidt. Inc., Boston, Mass.